Independent MSP John Finnie praised Oxfam's Lift Lives for Good campaign during his member's debate on 21 January 2014. 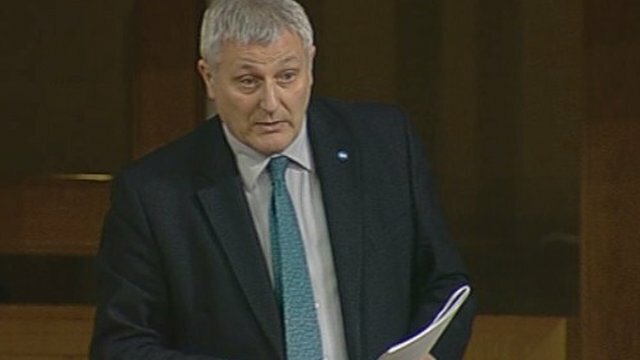 Mr Finnie said the campaign was the start of an "ambitious new drive to tackle the root causes of poverty in 2014". He said the charity had been very clear that they see the two biggest threats to poverty worsening across the globe are the increasing gap between the richest and poorest and the damage caused to the poor by climate change. The charity adds that when you lift one person, you give them the power they need to lift others starting the "chain reaction that could lift an entire community - now and for good". Mr Finnie wished Oxfam the very best of success with the campaign across the country and with its aim to raise £10 million. He also encouraged Scots to go "shwopping" at Oxfam and Marks and Spencer. They launched "shwopping" in April 2012, a new idea that makes it even easier to give your unwanted clothes a second life. Oxfam says more than 3.8 million garments in M&S and Oxfam shops have been donated, which is potentially worth £2.3 million for Oxfam. M&S is supporting Oxfam's Mother Appeal and states if you "shwop" your unwanted items before 31 March 2014, the UK government will match the money your goods raise, pound for pound, up to £5m. The projects to be targeted are in Bangladesh, Tajikistan and Zambia. Housing and Welfare Minister Margaret Burgess encouraged everyone to "get shwopping". Ms Burgess also encouraged people in Scotland to support Oxfam's Lift Lives for Good campaign and its aim to make an impact on poverty.